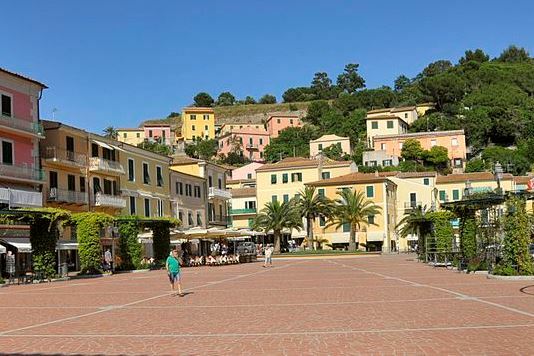 One of the most beautiful towns of Elba is Portoferraio. 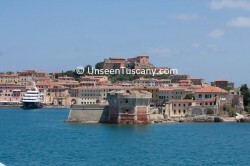 It is the town and comune in the province of Livorno, on the edge of the eponymous harbour of the island of Elba. It is the island’s largest city. 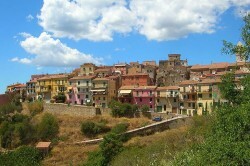 Because of its terrain, many of its buildings are situated on the slopes of a tiny hill surrounded on three sides by the sea. It was founded by Cosimo I de’ Medici, Grand Duke of Tuscany, in 1548, with the name of Cosmopoli (“Cosimo’s City”), to balance the presence of the Spanish citadel in Porto Azzurro. It had three forts (Forte Stella, Forte Falcone and Forte Inglese) and a massive line of walls, all still visible today. The town center is crowded around the small marina drawn in a natural cove. Main points of interest include: Forte Stella, Forte Falcone, Forte Inglese, Archeological museum, Napoleon’s house. 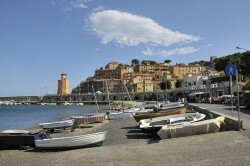 Marciana Marina is one of the most beautiful towns of Elba Island. It is situated at sea level, with nearly 2.000 inhabitants. There is a small marina, two small beaches and an old Torre Medicea, built to protect the city in the past from the frequent pirate invasion. The promenade going from the old part of the city (called Il Cotone) to the Torre Medicea has preserved the original architectonical and urbanistic features of the 18th century. 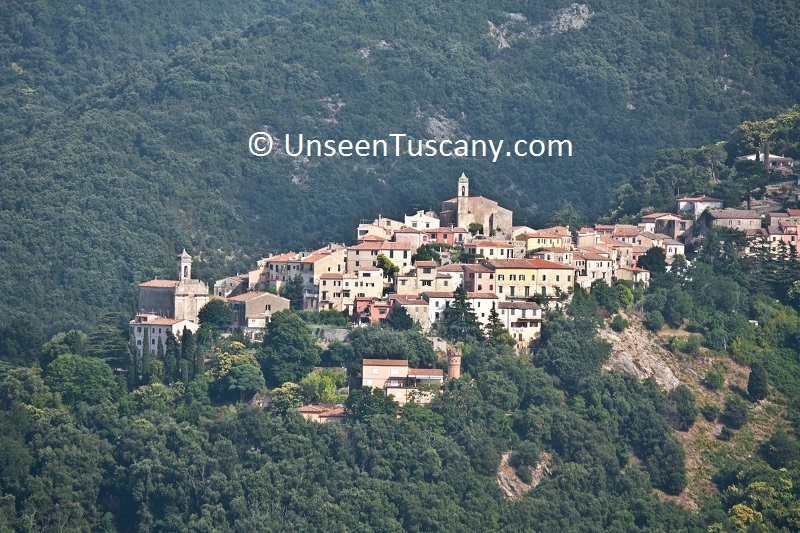 Situated at an altitude of 375 m, it is the highest town on the island and one of the oldest, as testified to by the Pisan Fortress that dominates the town, and in which the population took refuge during pirate attacks. The streets are very narrow and winding, and accessible only by foot. 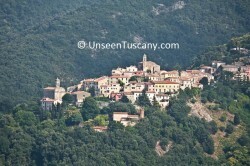 A footpath leaves from the town for the sanctuary of the Madonna del Monte. Marciana is also the point of departure for the funicular to M. Capanne, where on clear days you can admire Elba and the surrounding islands in all their splendour. The first traces of settlement of Rio is date to the 15th century. In the 18th century, when pirate menace started to wane, a village grew here as the port of the nearby Rio nell’Elba. The village had 879 inhabitants at the time of the French invasion of 1799. In that period the exploiting of iron ores began. The mines closed in 1981, and now Rio Marina’s economy is mostly based on tourism. One of the most beautiful towns of Elba is Porto Azzurro. 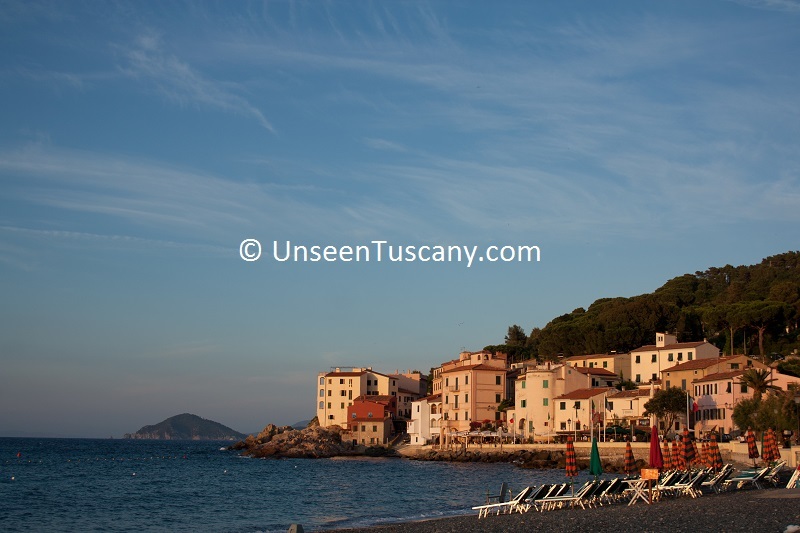 The small town opens onto the Gulf of Mola, the widest bay of the eastern Elba coast and has a well protected port in which ferry-boats and tourist boats regularly moor. This fishing and agricultural village is today a famous tourist resort. 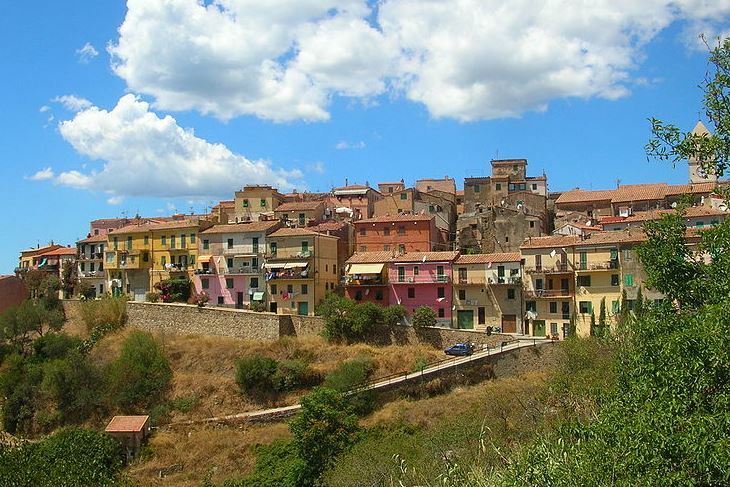 Just a few kilometers from Porto Azzurro is “The Small Mine” (Piccola Miniera), a reconstruction in reduced scale of a mine and of the life inside a mine. Places of historical and cultural interest also are: the Sanctuary of Madonna del Monserrato and the Spanish Church of Cuore Immacolato di Maria. 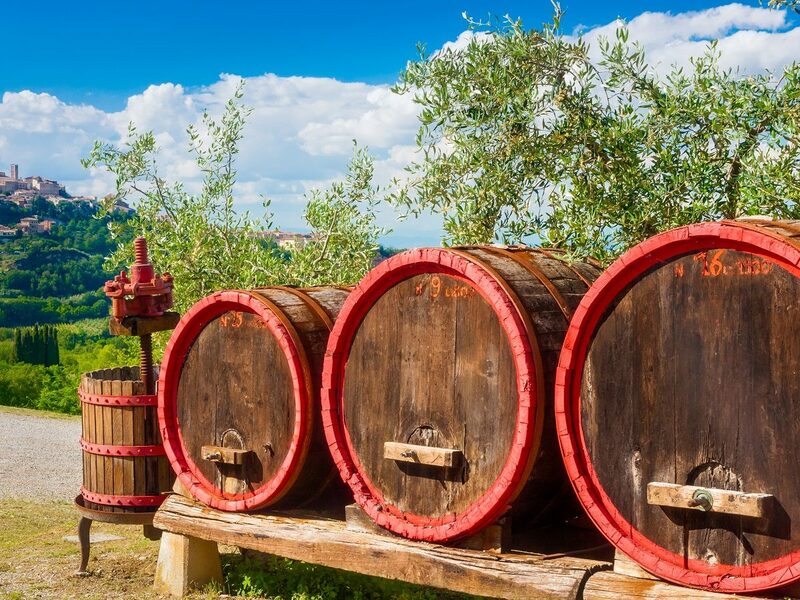 Capoliveri name and origin dates back to the Roman period: ‘Caput Liberi’ is Latin for ‘Liberus’ Hill’, meaning sacred to Bacchus, and since ancient times has been a land of vineyards and excellent wine. 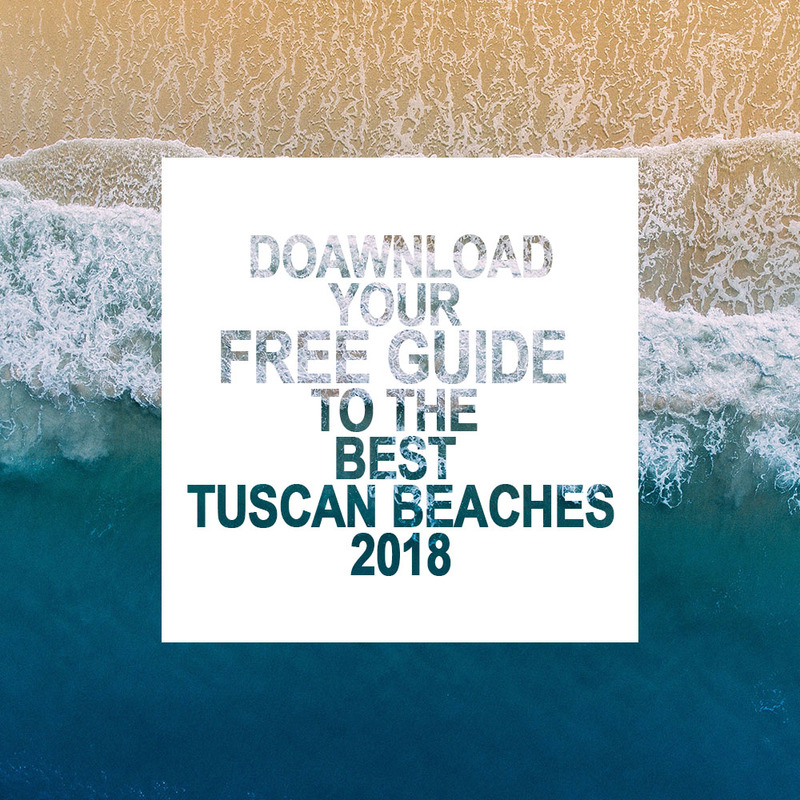 Places of historical and cultural interest are the Sanctuary of Madonna delle Grazie, the Focardo Fortress and the Chapel of San Michele Apse. The main centers inside the communal district of Capoliveri are Lacona, Naregno, Lido, Pareti, Morcone, Innamorata and Cala Grande. 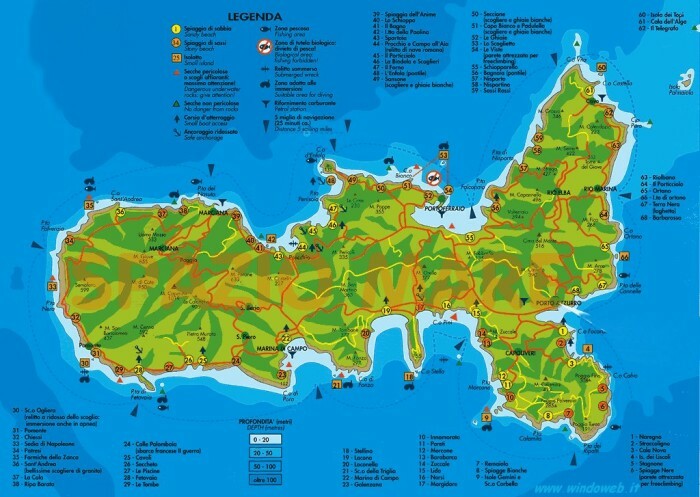 How to get to Elba Island? 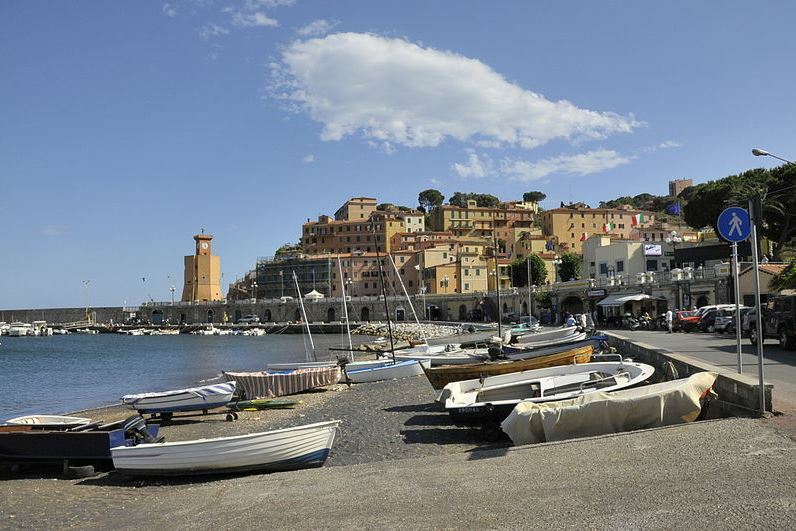 The nearest port is Piombino, where there are four different ferry companies: Toremar, Moby Lines, Blu Navy (Piombino-Portoferraio from April 19th until October 13th 2013), Corsica Ferries (Piombino-Portoferraio from June 13th to September 23rd 2013). 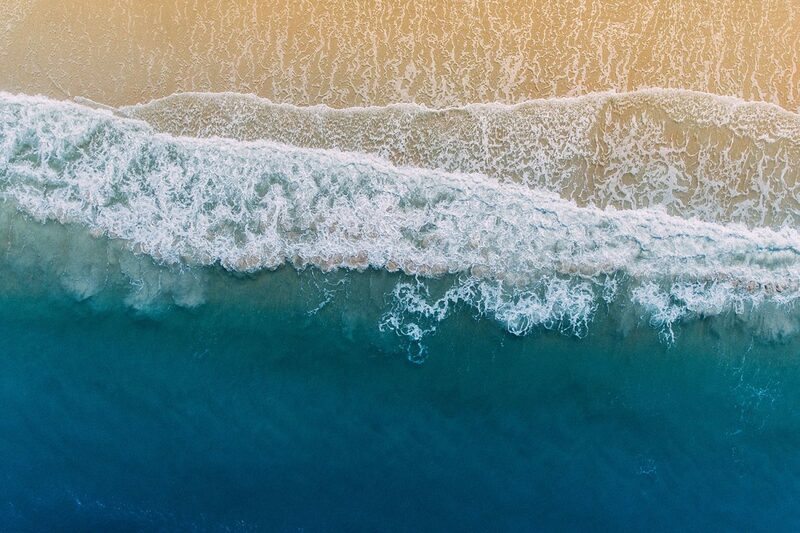 The frequency of the connections varies according to the seasons (from May to September there is a ferry every 30 minutes). 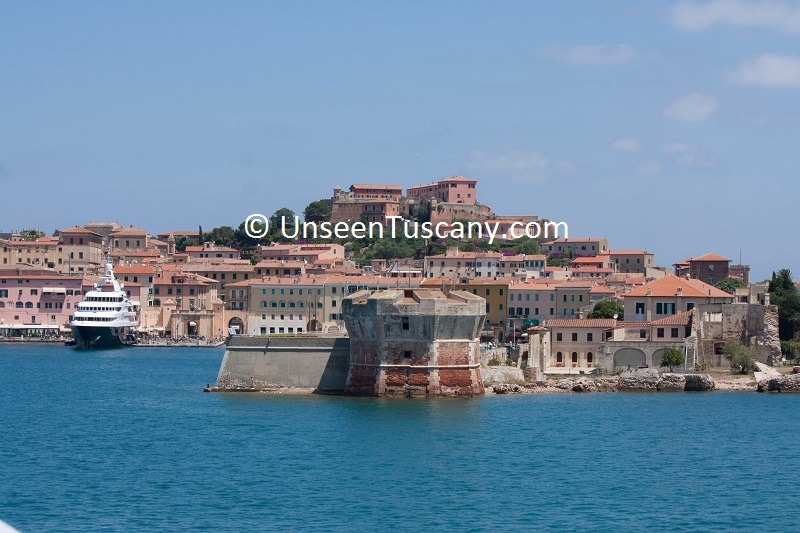 The crossing from Piombino to Portoferraio on the Island of Elba takes around 30-60 minutes. 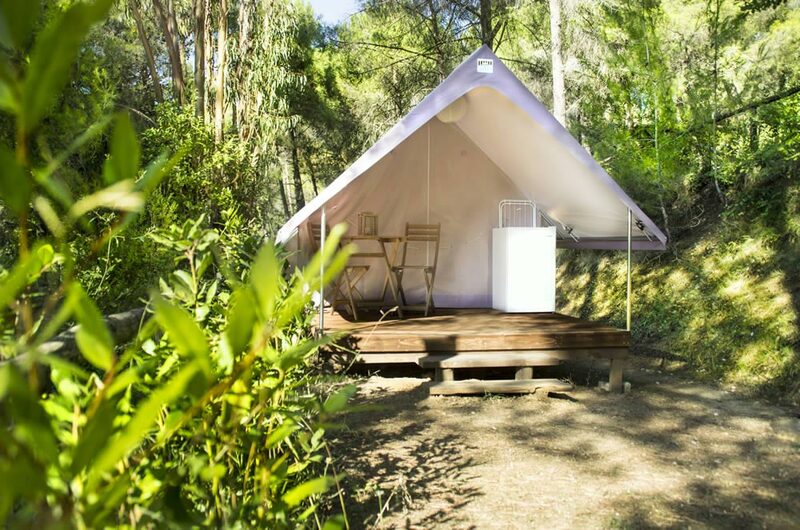 During high season it is a good idea to book in advance.